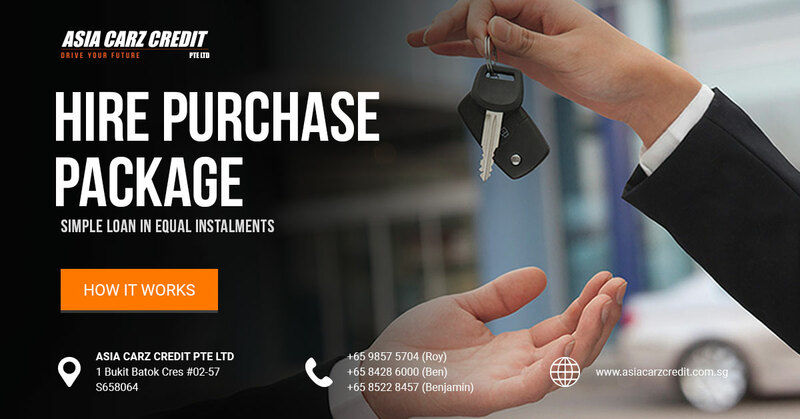 Buying a car in Singapore isn’t feasible if you don’t want to part with a huge amount of money in one blow. There’s also a limitation to car purchases because the country imposes a Certificate of Entitlement (COE) system to prevent unmanageable traffic on the road. But there’s no denying that having a car is a big convenience so Singaporeans and permanent residents turn to other options to use private transportation and eventually acquire a personally owned car. One such option is a car hire purchase. A car hire purchase is similar to a car loan agreement with a bank, except with easier financial terms. In Singapore, the loan you acquire from a bank is dependent on the vehicle’s Open Market Value (OMV) and your credit record. If the car is worth $20,000 OMV, the bank may lend you less than 60 percent of the money. As such, you would need to shell out 40 percent of the cost of the car in cash. The maximum car loan tenure in banks is 7 years. However, if you’re buying a used car, the COE will also affect your agreement with the bank. COE is only good for 10 years, so if the car you want is 8 years old, you might only get 2-year loan tenure. Some banks might not even approve your loan if the car is under COE. You must be a Singaporean citizen or a permanent resident if you’d like to apply for a car hire purchase from Asia Carz. Foreigners who are residents of Singapore may also enter into a car hire agreement if they can find a local bank or guarantor to support their application. Vehicle owners need to manage their Singapore car insurance renewals, road taxes payments, as well as repairs and maintenance cost. Always make it a point to keep your monthly payments up to date and save the receipts so that your records are in order. You cannot put your car up for sale until this obligation has been fully settled. You’ll need a sit down with an Asia Carz agent to discuss the process and submit the necessary documents. You might also have to nominate a guarantor in your application. Before the car is delivered, a down payment, as discussed with your agent, should be paid after you’ve agreed to the computed interest rates, payment terms, and other fees. Contact us today and let’s discuss your options! Copyright © Asia Carz Credit. All rights reserved. Handmade by Studious Media in Singapore.